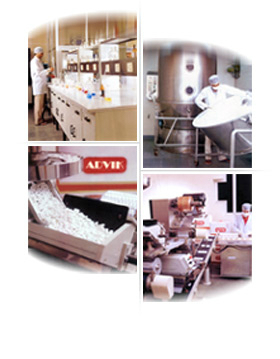 Established in the year 1997, Advik Laboratories, a WHO and GMP certified company has been set up from the ground level with the avowed objective of achieving USFDA standards of quality. Manufacturing and exporting of pharmaceutical medicines that includes anti allergic capsules, anti allergic tablets, anti-inflammatory tablets, anti-inflammatory capsules, antihypertensives, analgesic, antipyretic, pharmaceutical formulations & anti-inflammatory, antibacterials & antibiotics etc. Advik Laboratories is enjoying leadership status at various fronts such as high product quality, a growing range of products, state of the art manufacturing process, competitive pricing and customer service. In addition the company exports its wide range of drugs to a number of countries worldwide. Advik is a professionally managed company with a team of highly qualified dedicated professionals to manufacture and promote the high quality medicines in various Indian and global markets.